The club received a special recognition award at the North East Football Writers’ Association Annual Awards on Sunday. Captain Jon Shaw took to the stage at Ramside Hall, in Durham, to collect the award on behalf of the club. 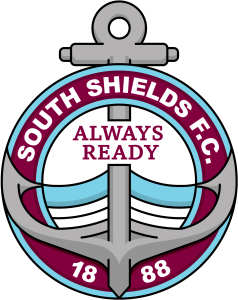 The award recognised South Shields’ achievement of winning the Evo-Stik North Division championship in 2017-18. The star-studded ceremony was attended by the great and good of North East football. Newcastle United goalkeeper Martin Dubravka picked up the region’s Player of the Year award, with former Sunderland striker Josh Maja handed the Young Player award. Black Cats manager Jack Ross collected the award on his behalf. The Women’s Player of the Year prize went to Durham’s Beth Hepple. Former Newcastle United and England striker Alan Shearer was honoured for his off-field efforts with the North East Personality of the Year trophy, which was given in association with the Sir Bobby Robson Foundation. Middlesbrough’s head of recruitment operations, Adrian Bevington, was handed the Bob Cass Award, while Sunderland’s head of communications and marketing, Louise Wanless, received the John Fotheringham Award. Shaw was joined on stage by representatives of Stockton Town and Marske United, who were also recognised for their achievements last season.